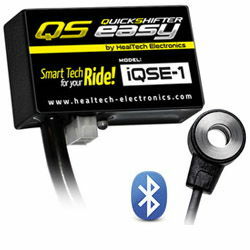 "I just want to say thank you for supplying the Healtech Quickshifter easy for my Ducati Multistrada 1200, which so far has proven to be one of the best quickshifters I've used. Super easy to set up using the app through my iPhone while out on a ride, infinitely adjustable and so far 100% reliable! I was a little apprehensive before using, mostly due to the lower price in comparison to other makes of quickshifter (HM / Translogic etc), but I'll be fitting another one of these to my new bike and suggesting these to friends who ride after knowing what a quality product it is." !electronics, air, shifters, airshifters, quick, shifters, qse, qse-1, qse-2, corse, stripe, superbike, mts1200s, 600ss, 620ds, 749ss, 750ss, 796, 800ds, 800ss, 821, 900ss, 937, 937s, 937ss, 939, 939s, 939ss, 1000ds, 1000ss, 1100, 1100ds, mts1200, 1200, 1200s, 1200r, 05, 06, 07, 08, 09, 10, 11, 12, 13, 14, 15, 16, 17, 18, 19, 20, 2005, 2006, 2007, 2008, 2009, 2010, 2011, 2012, 2013, 2014, 2015, 2016, 2017, 2018, 2019, 2020!